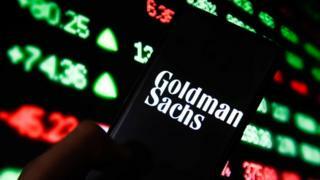 US investment bank Goldman Sachs has been fined £34.3m for failures in the way it shared information with the City watchdog. The Financial Conduct Authority (FCA) said the bank did not provide "accurate and timely reporting" relating to some 220 million transactions over a decade. Tougher rules on transaction reporting were introduced after the 2008 financial crisis to stop market abuse. Goldman said it had now improved its processes. Mark Steward, the FCA's executive director of enforcement, said: "The failings in this case demonstrate a failure over an extended period to manage and test controls that are vitally important to the integrity of our markets. "These were serious and prolonged failures." According to the watchdog, Goldman failed to provide "complete, accurate and timely" information related to about 213.6 million transactions between 2007 and 2017. It also erroneously reported 6.6 million transactions which were not, in fact, reportable. The FCA said the bank - which was recently caught up in the Malaysian 1MDB corruption scandal - had not taken reasonable care to "control its affairs responsibly". In a statement, Goldman Sachs said it was "pleased to have resolved this legacy matter". "We dealt with the issues proactively at the time and have made significant investments across the period to develop and enhance our reporting procedures." Earlier this month, Swiss investment banking giant UBS was fined £27.6m by the FCA over the way it reported transaction data. And last year Bank of America's Merrill Lynch paid £35m after failing to report nearly 69 million transactions over two years. The FCA said: "We expect all firms will take this opportunity to ensure they can fully detail their activity and are regularly checking their systems so any problems are detected and remedied promptly."